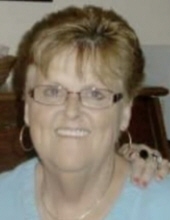 Patricia Bradley Pickett, 71, resident of Washboard Avenue in the Pleasant Grove section, Mount Olive, peacefully passed away Saturday night, November 10, 2018. Daughter of the late Dempsey and Kate Bradley and widow of Jerry W. Pickett, Patricia was an “on-the-go” lady. She enjoyed going shopping, always in search of a bargain, taking trips, and being the parts picker-upper for her late husband as he operated Pickett’s Garage. She liked pretty clothes, always wore a smile, and she enjoyed lengthy conversations whether by telephone or in person, and in late years, she enjoyed Facebook. Due to the untimely deaths of her parents, Patricia's upbringing was in the hands of her aunts and uncles, whom she loved very much, and who loved her too. She is survived by a daughter, Christy Blizzard Price and husband, Kevin; a son, Russ W. Pickett and companion, Angie Murphy; and two grandchildren, Bradley Pickett and Hannah Price, all of the Pleasant Grove section; a niece, Melissa Bell of Mount Olive, along with her family; and several cousins. Funeral services will be conducted at Tyndall Funeral Home at 7 pm Tuesday Nov. 13 with visitation afterwards. The Rev. David Rouse will officiate. Burial will be in the Pine View Cemetery, Seven Springs at 11 a.m. Wednesday, Nov. 14. To send flowers or a remembrance gift to the family of Patricia Bradley Pickett, please visit our Tribute Store. "Email Address" would like to share the life celebration of Patricia Bradley Pickett. Click on the "link" to go to share a favorite memory or leave a condolence message for the family.